The Lighting Tech Egypt conference will bring together senior representatives from government ministries, lighting designers medexmd.com, Engineering contractors and developers to discuss the latest smart, sustainable and cost-effective solutions for Egypt’s developing public realm. Egypt presents a wealth of opportunity for the international lighting industry, with developers such as SODIC, Qatari Diar, Palm Hills all constructing major mixed use developments across Egypt. The ‘Citygate’ project is being developed by Qatari Diar and is expected to be completed by 2020. CityGate will be a self-sustained city with various sizes of villas and apartments viewing the golf course, green spaces and parks. Meanwhile, SODIC (Sixth October Development and Investment Company ) are developing West Town and East Town as well as a new 30 acre project in 6th October City. The Eastown project, part of SODIC East is set to become the new vibrant hub of the East Cairo district. Also under construction is the ‘New Capital Cairo’, the proposed new capital of Egypt Vega. The New Capital Cairo will cost approximately US$45 billion US dollars to develop and will be comprised of 21 residential districts, a theme park and 490km2 land available for future development. Egypt has more than 10 million streetlights, which use up around 6% of the country's electricity, with a load of around 1,600MW, according to MoH. These typically use sodium, mercury vapour, and incandescent lamps. Replacing all of these lights is estimated to cost nearly $725 million. A project which is valued at US$268.2 million to replace 3.89 million street lamp bulbs with energy-efficient ones was announced in April 2015 and is expected to be completed in 28 months. Minister of electricity Dr Mohamed Shaker had recently signed a US$157 million-contract with the AOI to replace nearly four million streetlights across the country with solar LED versions. By early 2015, numerous streets in the Red Sea resort town of Sharm el Sheikh, nine miles in length, had been fitted with solar LED lighting by the state-owned Arab Organization for Industrialization (AOI), with an investment of around $2.1 million. Today similar work is taking place in Alexandria, New Valley, Ismailia, and Kom Ombo in Aswan. Egypt to distribute US$1.7million LED bulbs over the next four months. 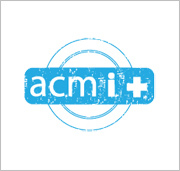 The ACM Interface+ conference format is designed to optimise the valuable and finite time our busy delegations can dedicate to being out of the office while also enhancing their enjoyment of the ACM on-site experience. Specifically tailored to our region of operations here in the Middle East, the Interface+ format maximises networking opportunities, facilitating the building of profitable relationships within the context of a dynamic, efficient and relevant learning environment. ACM conference days, using the Interface+ format, have an earlier start than conventional agendas and conclude with a late lunch. The conference sessions are regularly punctuated by refreshment and networking breaks to allow for unhurried face-to-face interaction between peers, colleagues and business prospects. The mid-afternoon conclusion of our formal conference agenda allows for government representatives and busy executives to adjourn earlier in the day, having still enjoyed a full and rich programme of content. Post-lunch, ACM will offer additional, optional learning and networking opportunities in the shape of workshops, product demonstrations, technology launches, site visits, pre-arranged 1-2-1 business meetings and hosted receptions. Interface+ makes timing sense for our delegates and business sense for our sponsors.